When the First World War ended, over three quarters of a million British soldiers had been killed. Because there had been more women than men to begin with, after the war the number of women who couldn’t hope to marry because there were simply not enough men to go round amounted to nearly two millions. These were referred to as the “surplus women” – an awful expression which drove home the point that, given that they couldn’t become wives and mothers, they were completely useless in the eyes of society. 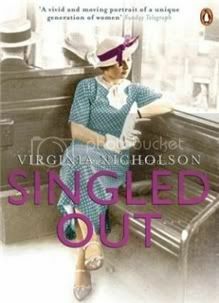 Singled Out tells us the story of these women’s lives, and it clearly shows that what they went on to do was far from useless. Using examples drawn from the biographies and works of unmarried women writers such as Elizabeth Goudge, Mary Renault, E.M. Delafield, Radclyffe Hal, Angela du Maurier, Vera Brittain, Sylvia Townsend Warner, or Noël Streatfeild, as well as from the lives of many other known and unknown women, Virginia Nicholson tells us about what they did when it came to employment and economic survival; about their loneliness (or lack thereof) and sexual lives; about female friendships and alternative forms of companionship; about the lives of lesbian women who suddenly found themselves in the spotlight; about these women’s intellectual interests and pursuits; and so on. Singled Out is detailed but never exhaustive, often very moving, and entirely fascinating. What I liked the most about Virginia Nicholson’s approach is that while she’s clearly out to defy the stereotype of the bitter, unfulfilled spinster, she never once ceases to take these women’s feelings or the social constraints they were up against seriously. Showing that the interwar singles were not necessarily unhappy is not the same as not acknowledging that for many, if not most, the fact that they never married was a bitter disappointment.These were, after all, women raised in the late Victorian and Edwardian eras. They were taught to expect husbands and children, and told that domestic bliss would be the be-all and end-all of their existence. One of the consequences of the Great War was that they were forced to realise that there were alternative ways of leading happy and fulfilled lives – but this obviously involved a psychological adjustment, not to mention the surpassing of some serious social obstacles. There’s also the fact that many of these women lost the men they loved in the war, so they had grief to contend with in addition to everything else. The way these women are portrayed in Singled Out is complex and multifaceted. They were individual human beings, so it almost goes without saying that their experiences were extremely diverse. Some were lonely and unhappy; others were cheerful and lived surrounded by friends. Some found love, romantic or not, later in life; others remained in mourning for those they had lost. Some found jobs and careers as writers, teachers, academics, journalists, explorers, engineers, stockbrokers, archaeologists, doctors, secretaries, typists, and so on; others remained dependant on relatives, or went out into the streets to fight for pensions for older unmarried women rather than just for widows. Some enjoyed their freedom and were grateful for the experiences the Great War had allowed them to have; others regretted the domestic lives they never had the opportunity to lead. The sheer variety of these women’s experiences makes their humanity undeniable, which is sadly the opposite of what most portrayals of the “surplus women” in the press tended to do. One of the things that made these women’s experiences different from those of Victorian singles was the fact that social perceptions of sexuality had very much changed. These women didn’t necessarily think they had escaped having to “lie back and think of England”; instead, they were aware that they were missing out on intimacy, pleasure, and an important human experience. One of the chapters of Singled Out includes excerpts from letters sent to Marie Stopes on masturbation – its supposed health dangers, and of course, the question of its moral permissibility. These letters were actually quite moving, I found. The Victorian attitudes and sexual mores these women struggled with were beginning to disappear, but they still cast a shadow over their lives. But of course, being unmarried didn’t necessarily mean that all these women were celibate, and Singled Out includes accounts of great love affairs, both hetero and homosexual. I loved the story of Irene Rathbone’s passionate summer with the poet Richard Aldington, as well as the story of BBC presenter Winifred Haward, who fell in love with Louis Hodgkiss, a working class man. This, of course, draws attention to the issue of class: it wasn’t so much that there were no men for these women to marry, but that there were no man of their own class. What Haward and Hodgkiss did was still an exception and was widely perceived as a transgression, but it brought them much happiness. All through the book, Virginia Nicholson emphasises the fact that the current generations owe a great deal to these single women: they were pioneers in many professional fields, they defied conventions and stereotypes, and they greatly enlarged the activities, social roles, aspirations and forms of living that were considered acceptable for women. One more thing: I loved the fact that Singled Out constantly makes references to interwar novelists and to their works. Some of these novels are now out of print, but many, I noticed, are available as Virago Modern Classics. All this to say that this book was extremely dangerous for my wishlist – I’d list the books and authors I now want to explore, but Danielle at A Work in Progress already has, and my list would be pretty much the same as hers. The status quo demanded that male members of a family support their female relatives, so genteel women learned French and fancy needlework rather than a trade or skill that could earn money. The world of employment did not offer opportunities for single women to become self-sufficient, so they were reduced to dependency. The demands of gentility were cruel. If you wanted to stay respectable you could be a governess or a ladies’ companion but you couldn’t enter any form of commerce. Normally, an unmarried middle-class daughter would live at home and care for her fractious and ailing parents until their deaths. Then, if she was lucky, she would be left just enough to live on; late in life, she might find freedom of a sort. But if not, she moved on down the line and went to live with whichever male relative felt morally obliged to have her. The unequal pay levels were the product of an ironic kind of double-think by the powers that be. Men must be paid more in order to support their families, ran the argument, and a single woman had only herself to support; but at the same time women must be deterred from breaking free of motherhood and the home. High remuneration would encourage the bachelor girl to escape her destiny as breeder of the race, so the differentials must be maintained in the interest of demographic stability. Gertrude Caton-Thompson was twenty-eight when Carlyon Mason-MacFarlane died; she lived another seventy years: they were years of intrepid adventure, intellectual purpose, deep friendship and simple, intense pleasure. She was admired, loved, and widely honoured. Could anyone describe such a woman as unfulfilled? This was an instant add to my TBR list. I never realised how bitter and new the time after the war was for women. That is, sure I've heard it mentioned a few time, but I never really fully realised it. This sounds like the perfect read to change that. You seem to read a lot of books on women's history in the 20th century, which I love & your reviews are always so good. Hey, you´re a really fast reader! :) This sounds like such an interesting book, like Iris I´ll add it to my tbr list. And I agree that we owe so much to these women, their situation must have been terrifying but also exciting. This one sounds truly fascinating. I never realized that this was an issue...should've but didn't...a book I would like to read for sure! This sounds like a great book. I'm going to add it to my list! I'm so interested in this book. The more I read about it, the more I feel like it will galvanise me to action(although it'll probably upset me as well, it's hard to read about the single life with no end as a single girl facing just that). The quote at the end about calculating pay for single women just shows how logic can be twisted up to serve an awful prupose, doesn't it? I definitely want to read this - especially to learn about the accomplishments of these single women. Fascinating! Makes 2 million single women sound like a drop in the bucket! I'd never seen this book before but it sounds fascinating. That middle quote makes me angry and I wonder if it's still true. There's definitely a difference in pay between men and women - you have to wonder if it's not an effort, if a subconscious one, to keep women at home. Thanks for another addition to my wishlist! As I said to you in another comment, I normally don't read books on war, but I love books that are set between the two wars. I don't know why. Anyway, I love the sound of this book and I will keep an eye on it, as your review made me want to read it(as always). You always find such interesting books:) That's what I love about your blog. I feel I'm being drawn into WWII themed writing at the moment. This one plus Stranger in the House sound so intriguing...maybe I'll try to read these together and see what thoughts emerge. This sounds really fascinating and liberating. I find the time surrounding WWI really interesting, and I've read a few pieces of fiction that deal with the consequences of all those men dying and its impact on English women, but this sounds like an important piece of non-fiction. This is definitely one I'll seek out! I am definitely sensing a trend in your writing, and I am loving it. This sounds like another great book that I want to read! This sounds so good, but heartbreaking considering just reading your review made me want to cry. One of my concerns with the kind of Christianity I grew up in is that many stricter sects still sort of teach a woman her greatest fulfillment is in being a wife and mother. In fact, when I found out some of the families in my former church were heavy into that I was really upset. It's not that I don't think we all want to find someone who loves us...I do, but it doesn't always happen and it happens in different ways and at different times. And I think it's completely possible to be happy and fulfilled alone. Don't we all always wonder what it would be like to be in a different situation at times? That doens't mean we're not happy with what we have. end of completely rambling comment! Great review! I had never heard the term "surplus women" until I got to hear Jacqueline Winspear (of the Maisie Dobbs books) speak at an author presentation and mention it and how she based her character on that. I agree, horrible term. Anyway, you've read another great book that I have to add to my list. This came in at work a few months back and I meant to nab it at the time, but it went out to a branch and I totally forgot about it so thanks for the reminder. I LOVE the way your reading lately has explored women's roles in WWII and mid-century life. 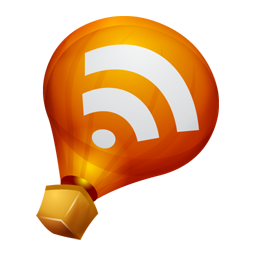 It's been fascinating to see the topic approached from so many different angles, so thank you! I never gave that a lot of thought, but I guess war does change the ratio of men to women. Sounds like a fascinating book. You are so right, Surplus women is such a derogatory and hurtful term. I find the topic of this book fascinating, and although I haven't thought much about it, I'd imagine that this was a huge problem at one time. I would love to read this book and get the chance to fully explore and understand this issue and will be looking into finding a copy. Some of the books you read are just wonderful and amazing. Not only do they teach and empower, but they entertain and give readers a lot to speculate about. Great review! What an interesting topic. I'd like to read this book sometime. Oh, nice book choice! This is definitely something that you don't hear about very often. I know I've said this before, but you always find the coolest books to read! Thank you for such well thought out points about women and their feelings about being single! I kept shaking my head in agreement with you, and I haven't even read the book. Honestly though, I really have to read this book. It sounds like it might begin to fill in a gap that appears in fiction of single women...and not the kind crying about their lack of dates or crummy ones. Thanks for this review! I'm off to get the book ASAP! I read this two summers ago and loved it. It made me think how much I take for granted and also left me with a lot of admiration for these women who had to change their attitude towards life as well as contend with a society that didn't like these changes. It's one of those books that made me first think about blogging because I kept going on and on about it to everyone but couldn't really have a proper discussion as no one else had read it. It's a special book, isn't it? That second to last quote is really startling! Thanks for the review. This one is very much on my list - especially as I have just read and reviewed "Among the bohemians" by the same author. I think that her social history writing is very undervalued - so accessible and intelligent. ifyoucanreadthis: I have good months and bad months :P And yeah, there's a real sense of freedom and possibility intermingled with the disappointment and fear. Debi: You and me both :P And 487 just might not be enough. Mae: I know :\ I'm not single, but I don't want children, and I'm starting to get to an age where people begin to think I might be planning to have one soon. Which of course leads to questions, and then to horribly intrusive and judgemental comments. The fact that people assume I'm a walking womb who must Fulfil Its Destiny or Forever Be Bitter is bad enough, but the most disturbing thing for me is the fact that they also assume that this very private decision is somehow totally their business. Apparently a woman's life is always up for public scrutiny. Jodie: Some parts are upsetting, but the overall tone of the book is actually pretty possibility. Like I was saying to another commenter, the sense of possibility is very much there. Jill: Yes, I think expectations make all the difference. But of course, it was a slow and painful process for these women to change theirs. And lol, that's so true about Liga's heaven. But for someone in her position, I think it makes perfect sense. Marieke: Eep, it really does. I hadn't realised the difference in China was quite that huge. That will certainly change the social dynamics of the country. I wonder in which ways. Meghan: Don't get me started on the contemporary gender pay gap - few things infuriate me more :\ I do wonder whether the logic behind it is pretty much the same, yep. Andreea: I think you'd enjoy them, yes - they're not so much about the war as they are about very personal experiences that came about because of the war. And thank you so much! Elisabeth: Reading these two in close succession was great. I'd definitely recommend it! Steph: I'd love to read more fiction dealing with this. Thanks to Singled Out, I now have a very long list of interwar novels that explore the issue to acquire! Amy: It was actually more or less accidental that I read these books at around the same time :P But I love reading serendipity! Jenny: If it's any comfort, I'm killing *myself too* :P I'm determined to take my book buying ban seriously between now and September and I only have one more book that deals with these things on the pile. Amy: It wasn't rambling at all! I agree; we all have "what ifs" and wonder what our lives would have been like if we had picked a different time. I'm sure that countless wives and mothers wonder what their lives would have been like if they remained single - but that's another feeling that tends to be silenced. I wish there wasn't such an insistence that marriage and motherhood, wonderful though they may be, are the ONE experience no woman should miss. Iliana: I have the first two Maisie Dobbs books on my tbr pile and I'm thinking I should get to them very, very soon. Fence: It really is :) I hope you enjoy it as much as I did. Kathy: Yeah, and especially this war, since the death toll was unprecedented. Zibilee, thank you for the kind words! I think you'll really enjoy this book. Katy, I hope you enjoy it! Eva: I hope your library gets it at some pont. Chasingbawa: It truly is! It made me smile to hear it inspired you to blog - I suspect it'd have made me feel the same if I didn't already blog. Tranpunto: Isn't it? You're most welcome! Hannah Stoneham: And Among the Bohemians is very much on mine! It sounds brilliant too. Wow! This book sounds utterly fascinating to me, and I love both the title and cover. Definitely adding this one to my TBR list. Thanks for a fantastic review! This one does sound very interesting. You chose such great topics to read about, thanks for the review. I'm adding this to my TBR. YES! Ana, you are made of win! Seriously! I had heard about this book when it was released and then didn't write down the title, and I've been trying since then to figure out what book it was! Thank you thank you thank you! !